Hello everyone!! Ellen here with a little gift idea some tea and soap. Today I like to talk about how I start creating. When I start making a project, I always start with the colors I already have. For example in this case it's yellow from the jar and the lemon soap. Then I start looking for the color combinations, for this project I found a pretty color combination from the "The Design Inspirationalist". 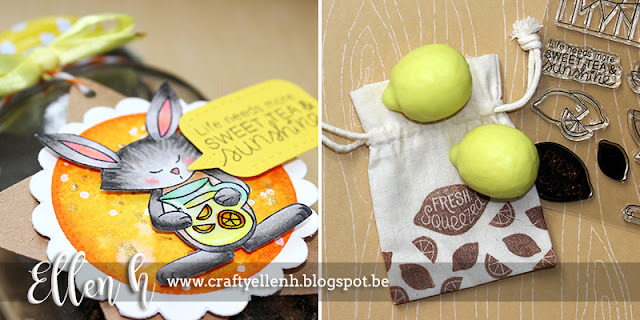 After that I choose a stamp set that goes well with the items I got; what's better than Freshly Squeezed for this project. Thank you so much for stopping by and see you next week! OMG! This project is absolutely lovely!!!! beautiful colours and sentiment!!! 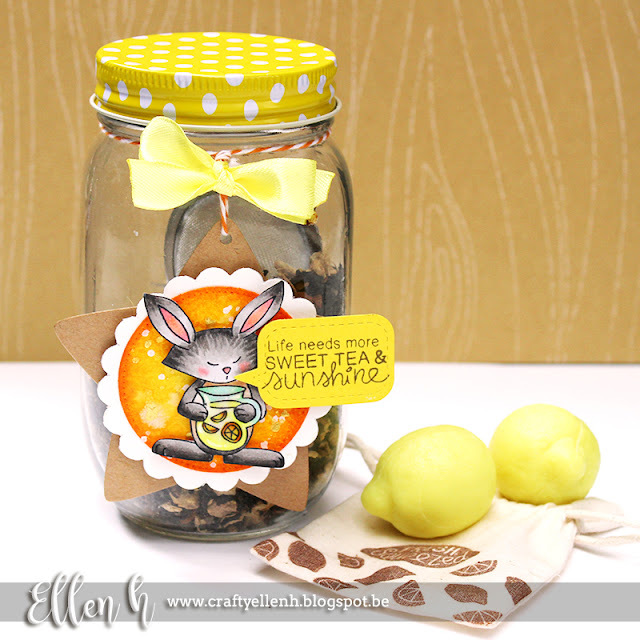 Supercute and lovely gift jar! 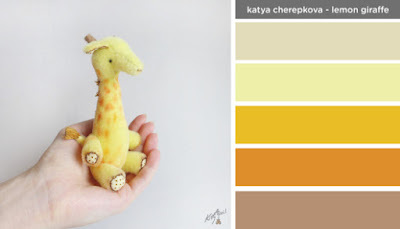 So so so adorable and fun project! TFS! Aw This is the sweetest!!! Coffee Lovers Fall Blog Hop! Inky Paws Challenge #36 - Halloween! September Release - Day 2 - What a Hoot!